Recycling is something that is super important to help our environment. I am going to be really honest here and say that that is an area that we could definitely improve upon in our household. This project got me thinking that since we are environmentally conscious in many ways, we need to be a lot better about recycling. I actually printed out an infographic for myself for our home to go on the fridge so it reminds me to recycle and so I know which items can be recycled. Rinse, Recycle, Reimagine is a program run by Unilever aimed at getting people to recycle bathroom products. I learned that Americans are more likely to get a drink when thirsty, charge their phones or answer a call then walk an empty plastic bottle to the recycling bin. Therefore, 29 millions tons of plastic make it into the landfill each year. Take the time to collect plastic bathroom products and put them in your recycling bin to help our environment. Only 26% in Detroit are recycling bathroom products- it's time to step it up! 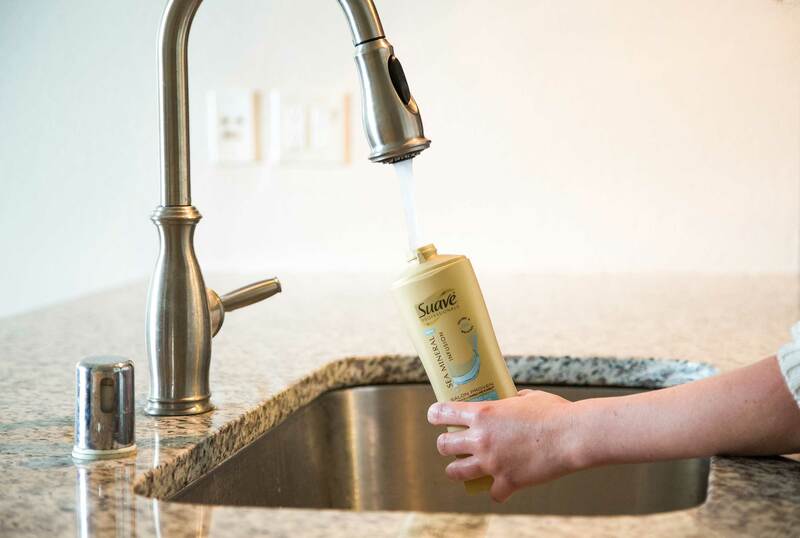 Items included that can be recycled are shampoo, body wash and lotion bottles. Just rinse out your empty beauty products and recycle them. These empty bottles can then be made into something else in the future. For example, bottles for beverages, food containers, contains for dairy products, caps, lids, etc. Unilever has a sweepstakes going on from 4/29 to 6/9 where they are giving away daily prizes and a grand prize for a $500 gift card. Check out more details here and use #ReimagineThat, #sweeps and tag @UnileverUSA to qualify. To enter, you have to share a picture of your bathroom recycling bin. Disclosure: This is a sponsored post by Unilever. All opinions are my own.